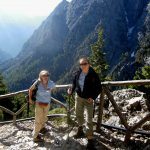 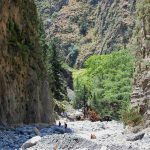 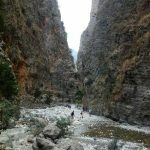 One of the highlights of West Crete is the famous Samaria gorge which sprouts on the south side of the Omalos-Plateau in the White Mountain Ranges of Western Crete. 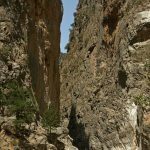 Proclaimed a National Park in 1962, it offers a wealth of natural beauty which is recognized far beyond Greece’s borders. 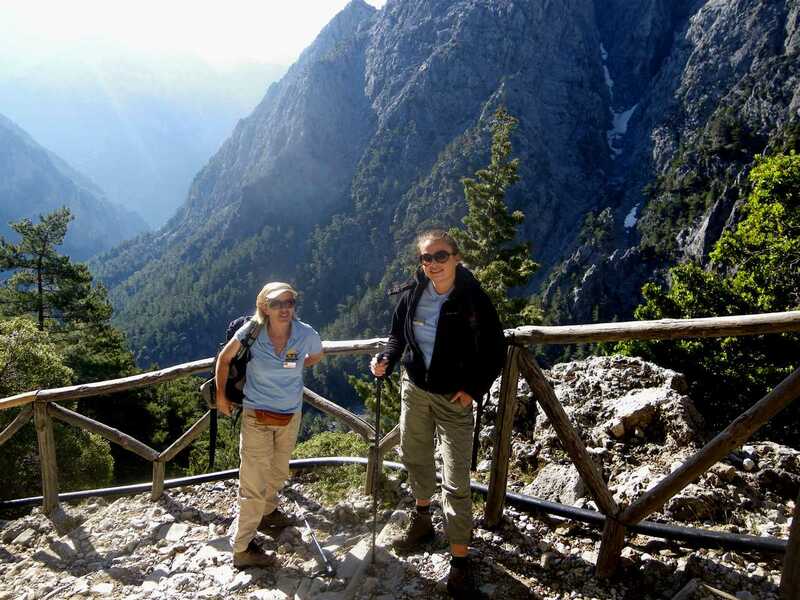 Are you ready for this ultimate walking-challenge? 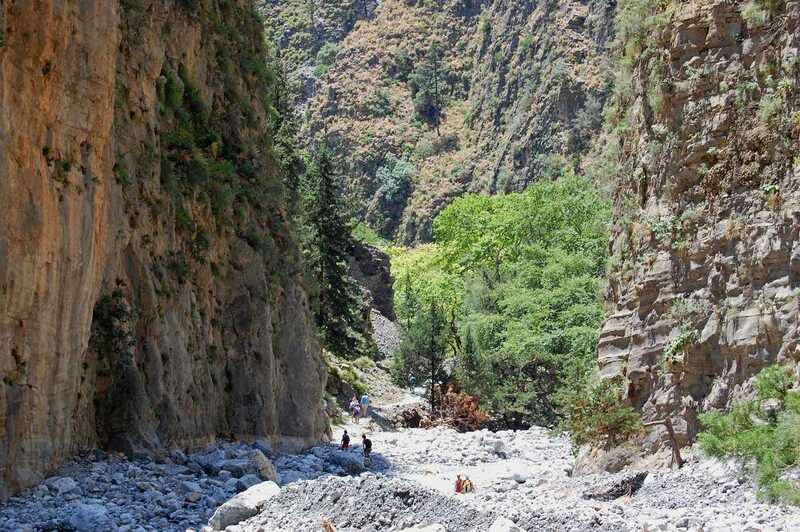 The 17kms hike through this very imposing gorge is tough but unforgettable and takes 5 to 6 hours (average time). 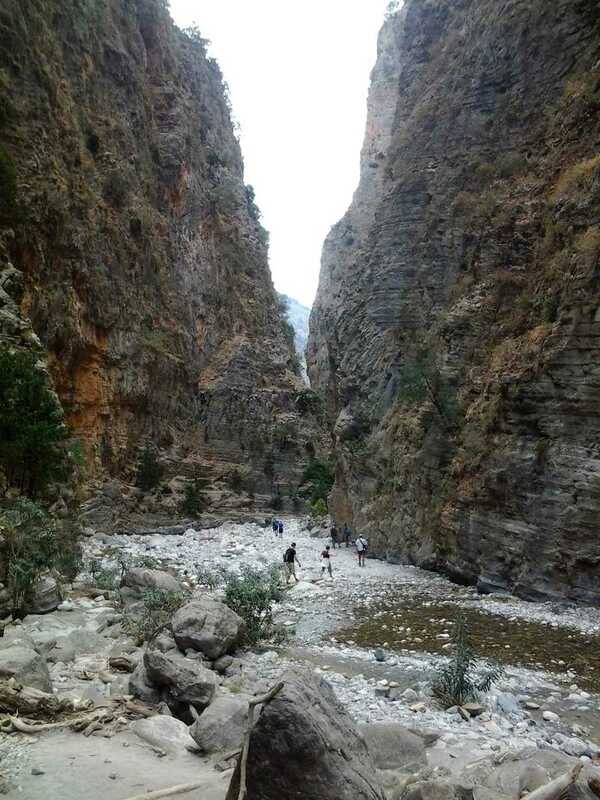 The landscape at the Samaria gorge is astounding and most impressive you will find the narrowest pass “The Iron Gate”, which is only 3m wide and 300 to 700m high from both sides. 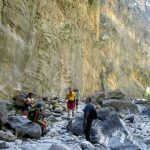 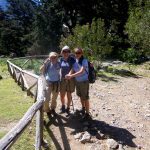 The walk starts at Xyloskalo at an altitude of 1.200m and runs down to the seaside village of Agia Roumeli at the south coast where you may enjoy a refreshing swim in the Libyan sea or a good meal at one of the local taverns. 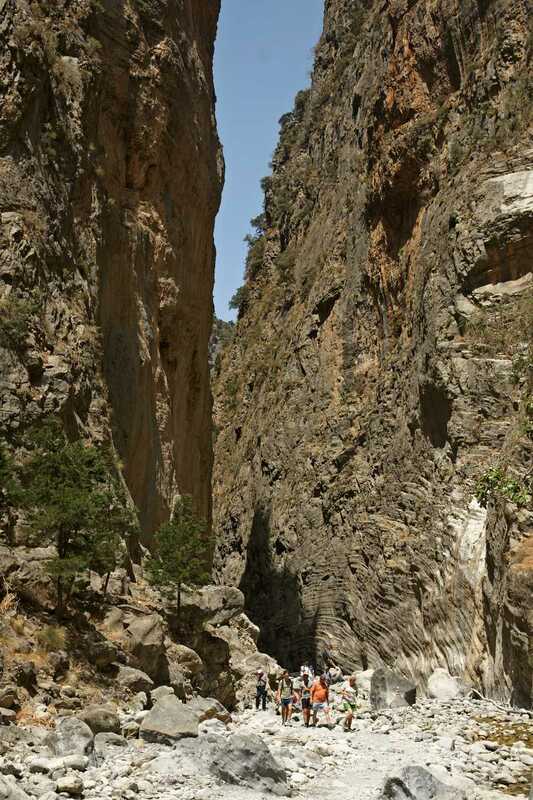 The trip continues by boat to our bus for the return to your hotel. 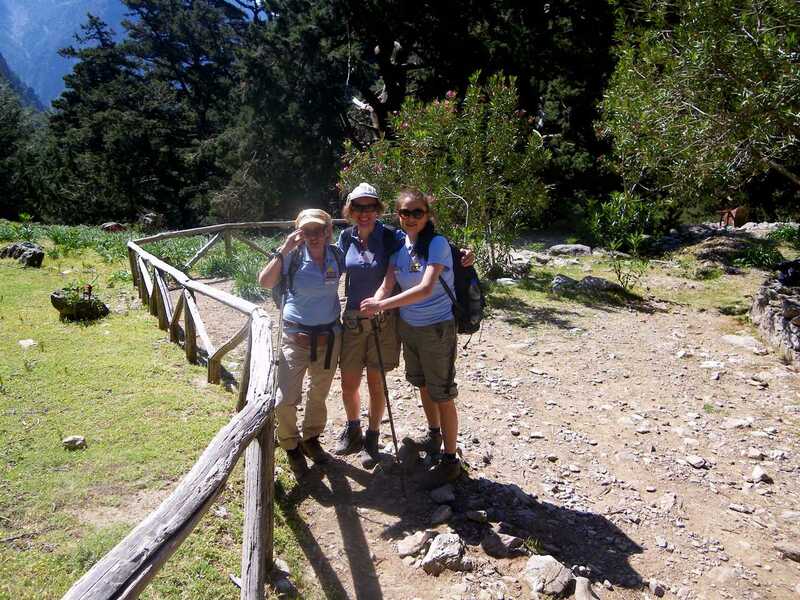 Walkers are required to be in good shape without health problems and wear proper walking shoes! 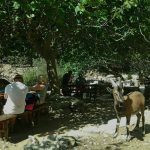 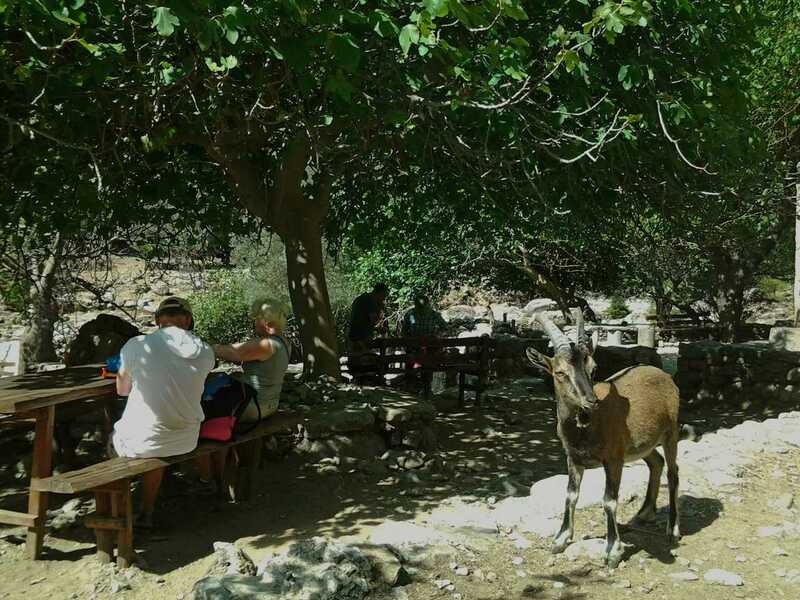 Many visitors to Crete regard the Samaria experience as being one of their favorites!